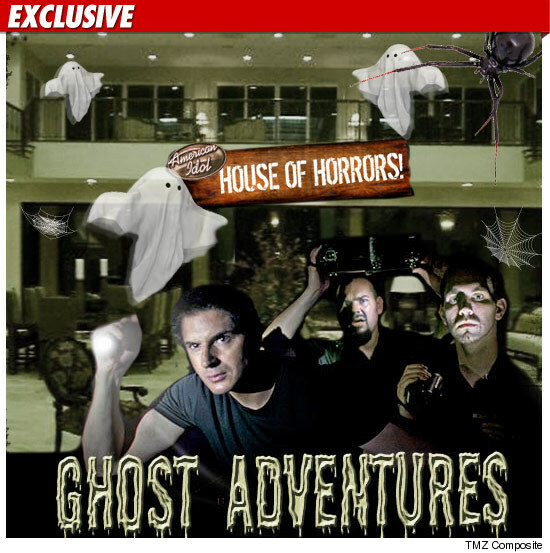 Paranormal Pop Culture: 'Ghost Adventures' to Investigate 'American Idol' Mansion? 'Ghost Adventures' to Investigate 'American Idol' Mansion? After TMZ broke the news about American Idol "haunted" mansion has now attracted attention from paranormal investigators. Zak Bagans from Travel Channel's Ghost Adventures told TMZ he wants to investigate the "possibly demonic" entities in the house. Even though the contestants moved out of the house weeks ago, he feels the best way to try to contact the spirits is by bringing the "idols" back to the house to use them as "trigger objects," which could possibly stir up activity. Zak adds, "If there are spirits or demonic entities present, they may have had a connection with one of them ... hence all the activity." The flickering lights and moving bed sheet is said to need immediate attention, according to Bagans, and it was stated that they have already been in touch with Idol producers to make this happen.